Even if you can get money from friends or family, or from a lender, you will need to put some of your own money into the business. If you are joining a partnership, a capital contribution is usually required. A lender will want to see that you have some of your own collateral (some of your own personal money) as a stake in the business. But should that money be a loan to your business or an investment? There are tax implications for each situation. If you want to loan money to your business, you should have your attorney draw up paperwork to define the terms of the loan, including repayment and consequences for non-repayment of the loan. It should be clear that the loan is a binding obligation on the part of the company. As a recent tax court case notes, the absence of such paperwork negates the loan. 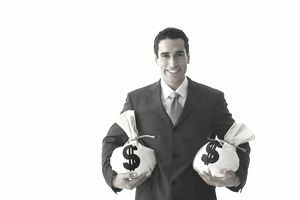 For tax purposes, a loan from you to your business is an "arms-length" transaction, being treated like any other debt. The interest on the debt is deductible to the corporation, and taxable to you personally as income. The principal is not deductible to the business unless it uses the funds to purchase capital assets (which qualify for depreciation deductions. )The return of principal on the loan is not taxable to you since the loan was after-tax money. The other option for putting money in your business is to invest the money. In this case, the funds go into your owner's equity account (for a sole proprietorship or partnership) or into retained earnings (for a corporation). If you withdraw your contribution, there is no tax consequence to you. If you withdraw additional money in the form of bonuses, dividends, or draw, you will be taxed on these amounts. There is no tax consequence to the business on this investment, except in their use of the funds to purchase depreciable assets. The labels on the documents: That is, is the document stated as a loan or an investment? A maturity date: The presence of a maturity date strongly suggests a loan. The source of payment. Is the payment being made in the form of a dividend or a payment on a loan? The right of the (supposed) lender to enforce payment: This should be stated in the loan documents. This language would not be present in a share of stock. The lender's right to participate in management: Usually, stockholders do not participate in management as a qualification for buying shares. The lender's right to collect compared to the regular corporate creditors: This language would be present in the documents and has to do with both collection policies and bankruptcy of the company. The parties' intent: The presence of a document helps with this part. The adequacy of the (supposed) borrower's/the company's) capitalization: In other words, is this a reasonable amount? The payment of interest out of only "dividend money"
The borrower's (the company's) ability to obtain loans from outside lenders. In any case, it is important for you to designate your contribution as either a loan (with the required paperwork) or capital investment so that the tax implications of the transaction are clear and you avoid any problems with the IRS. Each of these decisions carries risk. If you loan the money to the business and the business declares bankruptcy, you become a creditor. Depending on whether the loan was secured or unsecured (with collateral), you may or may not be able to get your money back from a liquidation. If on the other hand, in the case of a bankruptcy the owner's investment is entirely at risk and there is little or no possibility of returning those funds to you. Disclaimer: The information in this article is intended to be general and is not tax or legal advice. Before you make a decision on whether to loan money to your business or invest in stock, talk to your tax attorney, or financial advisor. What Is Included in a Business Loan Agreement?